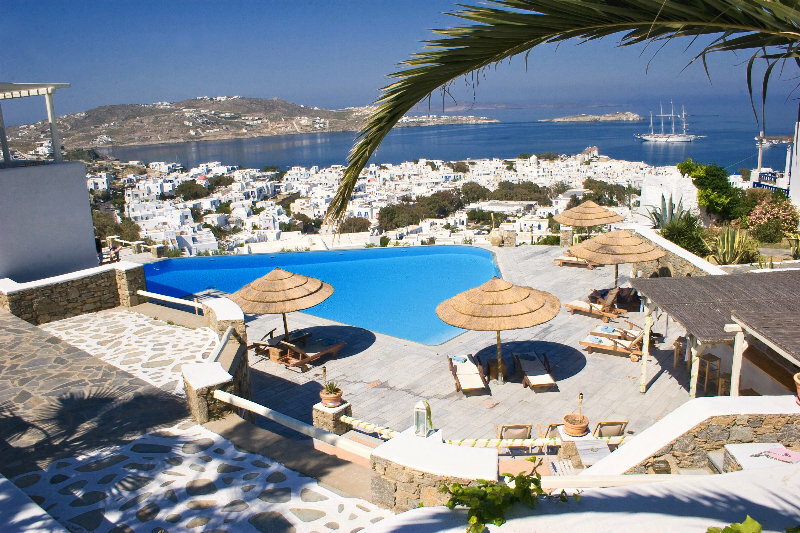 Find huge deals in Mykonos, Greece that you may book now & pay later! 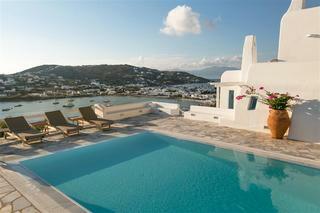 Best prices for in Mykonos, Greece. A dream vacation for you and your family, guaranteed by our travel consultants. 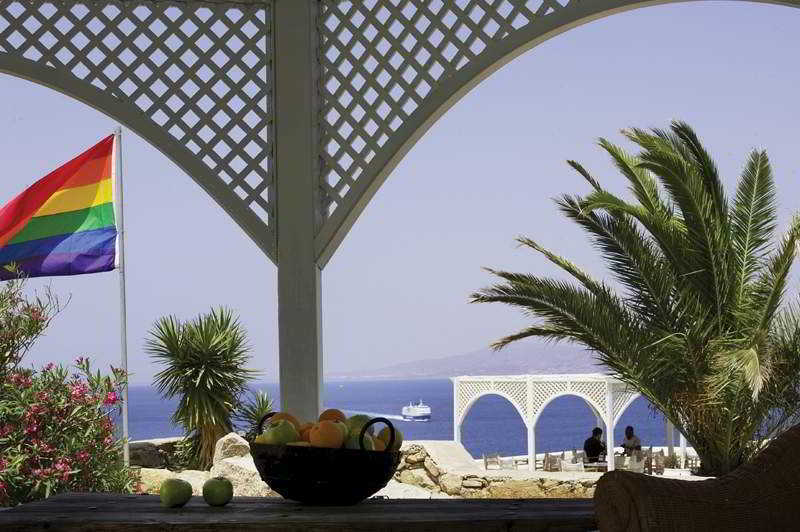 For members-only deals, we recommend using the new filter for deals in Mykonos, Greece. 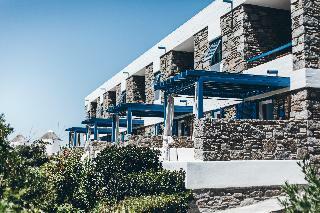 Beside the stunning beach, Elia, this beautiful hotel is on the island of Mykonos. 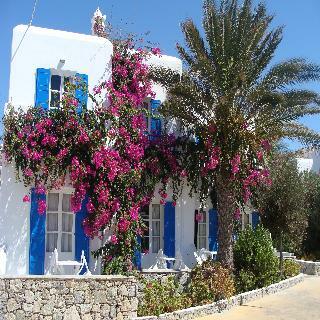 Mykonos town and Ano Mera are easily reached by bus, which has a stop a few metres from the hotel. Facilities include a foyer with a 24-hour reception, safe, lifts and a hairdresser's salon, a bar on the roof terrace, à la carte and sushi restaurants. 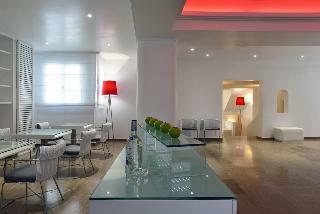 Guests may use the public Internet terminal, conference room as well as the car park facilities. Room and laundry services are also available. Excellently located on a private peninsula, this elegant and luxurious hotel enjoys overwhelming views over the azure blue Aegean Sea. The famous beaches of Platis Yialos and Psarou are only 30 metres and 150 metres away, respectively. The hotel features a fantastic spa and wellness area, a fitness centre, an infinity pool, 2 restaurants and 2 bars. Mykonos town is 3.5 km away. 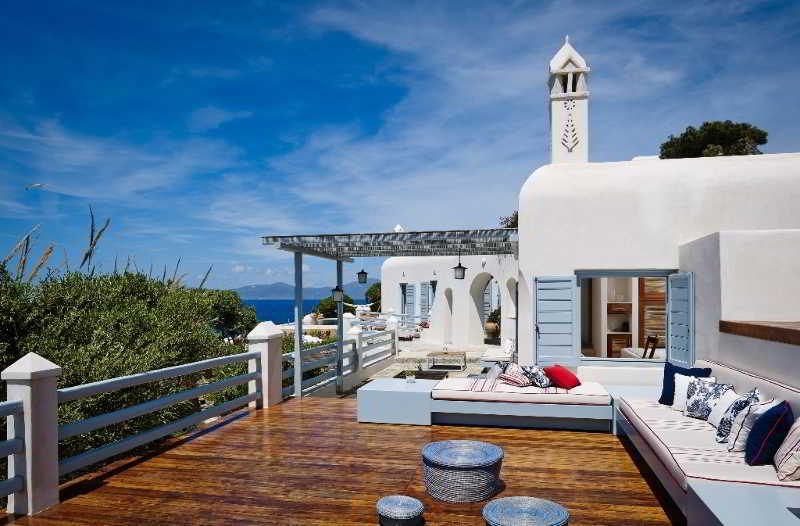 This luxury hotel perfectly combines the traditional white architecture of the Cyclades with elegant contemporary style elements. The design hotel features a fantastic saltwater infinity pool with panoramic sea views and an 18 m aquarium bar, an excellent spa and wellness area, fitness centre and a restaurant. The capital of Mykonos can be reached within a short stroll. This magnificent resort hotel, offering room with private terrace or balcony with fantastic sea views is situated on the beach of Ayios Yiannis. The centre of Mykonos town is no more than 4 km from the hotel, where guests will find a variety of shopping sites and a vibrant nightlife atmosphere. The nearest transport links can be found 100 metres away. The airport and the port are both about 5 km from the hotel. 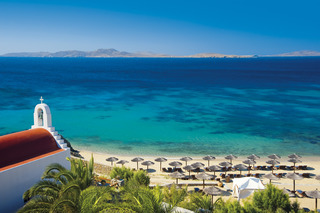 Guests can unwind under the Mediterranean sun at the hotel's beach. 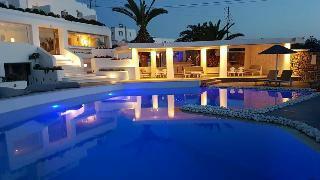 Set in an ideal position overlooking the famous beach of Platis Yialos, this hotel will offer guests an experience of a luxury Mykonos hotel beyond compare. Mykonos Town is around 4 km away where guests can take full advantage of the resort's facilities including traditional and fine dining, trendy bars, designer shops and the famous Mykonian nightlife. The hotel will take guests through a journey of extraordinary senses woven with the Mykonian style and a contemporary touch of luxury. Overlooking its beautiful private sandy beach and the Aegean Sea, this magnificent hotel is the epitome of luxury and recreation under the Greek sun. Features of the hotel include a fantastic spa area with Thalasso therapy, 2 excellent restaurants, 3 bars and sea water outdoor pools surrounded by a wonderful terrace. 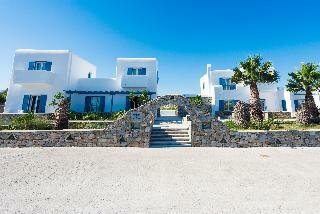 It offers a complimentary shuttle service to Mykonos town, which can be reached within 15 minutes. 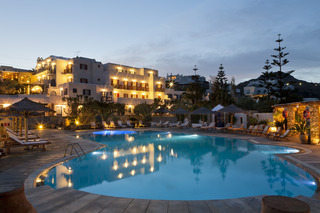 Located in the village of Ano Mera in Mykonos.The hoteli s 2km from the sandy beaches of Elia and Kalafatis.It features a fitness centre with hot tub and rooms with furnished balcony overlooking the swimming pool and the gardens.Air conditioning, satellite tv and a mini bar are included in all soundproofed rooms.Each has a safety box and a private bathroom with hairdryer.Breakfast is sreved in the dining room area and snacks , coffee and drink are provided at the snack bar. 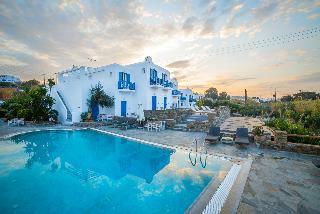 This hotel, built in a traditional cycladic style, is located in Vryssi, approximately 600 m from the centre of the town. Megali Ammos beach is located approximately 700m from the hotel. Guests will find convenient transport links near the hotel, which are perfect for those wishing to discover the many touristic and historic sites of the island. 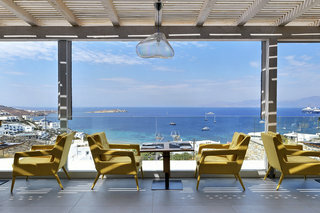 This modern, elegant hotel in Cycladic style enjoys panoramic views over the azure blue Aegean Sea and is conveniently situated close to Mykonos town, famous for its vibrant nightlife. It features a swimming pool, hot tub, restaurant and bar. 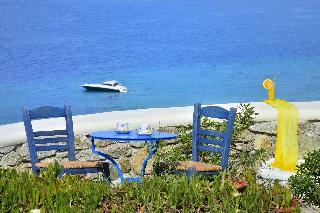 Beautiful beaches such as Elia Beach and Agia Anna Beach can be reached within a short drive. This hotel is located close to Ornos, a magical Mykonos beach, just 300 metres away, and the town centre can be found only 10 minutes away. 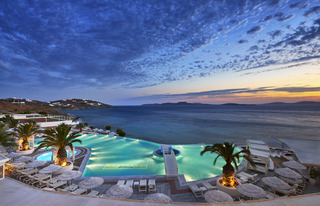 The hotel enjoys breathtaking views over the sea and offers an unforgettable holiday experience in the wonderful location that is the island of Mykonos, which makes every holiday unique. This hotel lies approximately 200 m away from the beautiful beaches of Plati Yialos and Psaros and is around 4 km from Mykonos town. 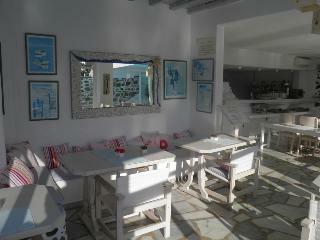 The hotel is within driving distance from Hora and Ornos beach. Guests will find transport links just outside the hotel which are convenient to explore the different touristic areas of the island. 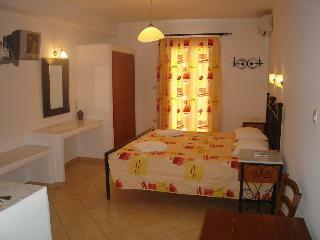 This hotel is the perfect place for guests who wish to relax and enjoy the beauty of the island. 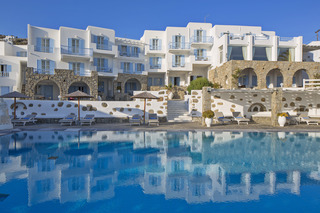 This charming, elegant hotel is set within walking distance to the centre of Mykonos, the capital of the island of the same name, renowned for its vibrant nightlife. The hotel with its traditional architecture features a restaurant, a bar, a free-form swimming pool, garden and gym. The airport of Mykonos can be reached within a short drive.